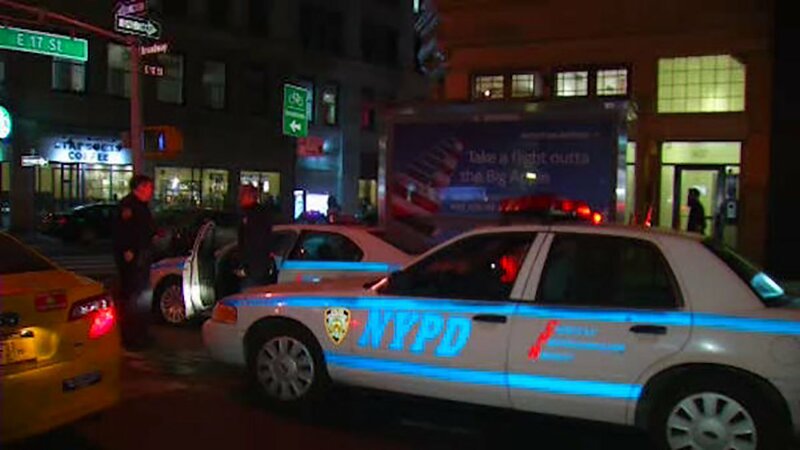 NEW YORK CITY (WABC) -- The Manhattan District Attorney on Friday announced the indictment of 30-year-old David Brail in connection with a series of hammer attacks, including one on a New York City police officer. Baril is accused of using a hammer to assault four individuals over a three-day period, and he is charged with first-degree attempted murder, first-degree assault and attempted aggravated assault of a police officer. "The seemingly random and unprovoked nature of the alleged assaults makes the defendant's actions particularly alarming," District Attorney Cy Vance said. According to witnesses, on the afternoon of May 11, 2015, Baril approached a group of people near West 35th Street and 6th Avenue and attempted to talk with them. When the group moved away, Baril allegedly used a hammer to strike one of the individuals, causing the 20-year-old victim to suffer lacerations to the back of his head. The defendant then left the area and headed south on 6th Avenue. Approximately six hours later, Baril is accused of using a hammer to attack a 28-year-old woman seated on a bench in Union Square Park, striking her in the head. The defendant fled, and five minutes later, authorities say he attacked a third victim, approaching the 33-year-old woman from behind on West 17th Street near 6th Avenue and striking her in the back of the head. Two days later, at approximately 10 a.m, Police Officers Lauren O'Rourke and Geraldo Casaigne approached the defendant at West 37th Street and 8th Avenue. Authorities say Baril removed a hammer from his pocket and repeatedly struck Officer O'Rourke's head, shoulder, and back. Officer Casaigne was able to subdue Baril with multiple gunshots to his body.